A massive, muscular ex-con, con artist, and small time hood, “Size” Brandon can bluff a grand jury as well as a crowded poker table. But the FBI wants him to put the squeeze on his best friend, fellow Texas gambler Pecos Jimmy Fontenot. Pecos Jimmy’s solution is to order a hit on Size. 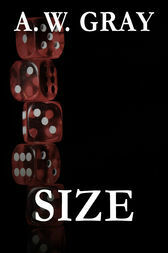 Now, from the sleazy strip joints of Texas to the glitzy casinos of Las Vegas, Size is a moving target—especially after her hijacks a truckload of cocaine—and he’s playing every dirty, deadly card he knows in this high stakes game of staying alive.